When you decide to build a new home, one important element of the home that deserves some careful consideration is the façade. 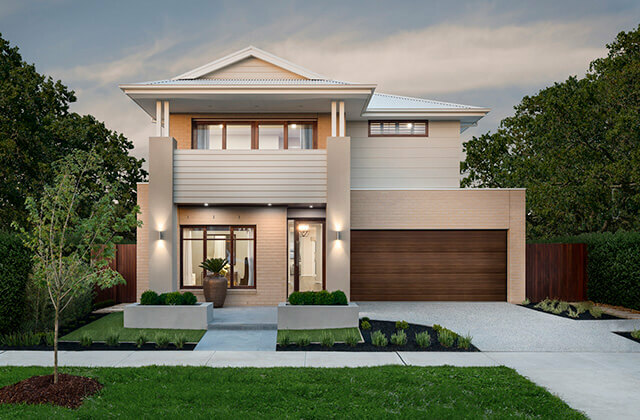 Forming what is essentially the ‘face’ of your home, the façade plays an important role setting the overall tone for the style and personality of the home that will further reveal itself once you step inside. The first thing that greets you when you return home after a busy day, your chosen façade also leaves a lasting impression on guests and visitors to your home, so it’s important you create a façade that speaks volumes of your unique sense of style. 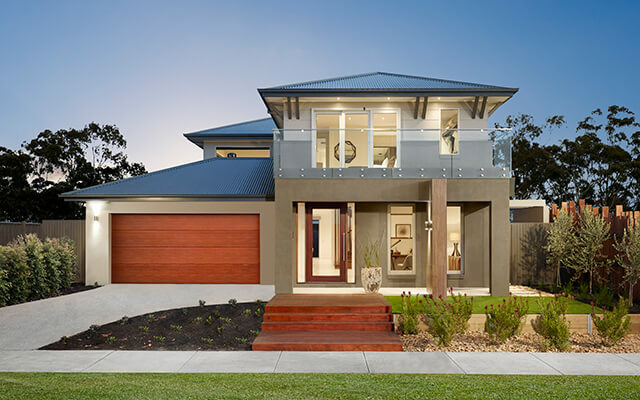 Render: Render is a cement or acrylic material available in a variety of colours which is applied to the exterior surface of the home, creating a modern and finished look. Roof tiles: Not only do roof tiles play an important role protecting your home from the intrusion of rain, the selected colour and finish should also compliment the fascia, gutter and brick work used on the home. Eave: The eave is the section of the roof that overhangs the external walls of the home, providing shade and protection from the elements. Fascia: The fascia is the band underneath the edge of the roof and gutter which forms a cornice around the exterior of the home. Gutter: The gutter plays and important role collecting rainwater runoff from the roof and redirecting it away from the structure of the home. 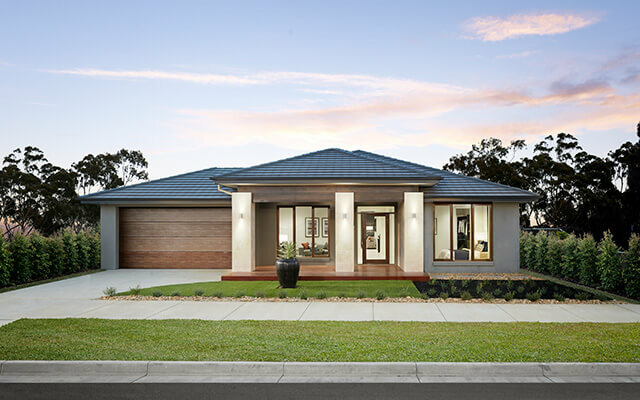 Front entry door: Forming the entrance to the home, the design, colour and materials used in the front entry door will play an important role adding to the character and curb appeal of the home. Garage door: Because of its size, the garage door is a prominent element of the façade and should be chosen to compliment the other colours, materials and finishes used throughout the façade. Window frame: Window frames can add contrast and definition to the façade by offsetting your nominated colour scheme to add some extra personality. Feature wall lights: Well selected feature wall lights will add to the ambience and overall aesthetics of the home. Bricks and mortar: Used throughout the entire exterior of the home, it’s important you select the most appropriate colour bricks and mortar for your home design, as they will create the base for the overall colour scheme of your home. Portico: A portico not only provides a roof structure over the front entrance and provides shelter from the elements, but it also adds some grandeur and character to the entrance of the home. Once you’ve selected your favourite Dennis home design, you’ll have the option to choose your preferred façade style. 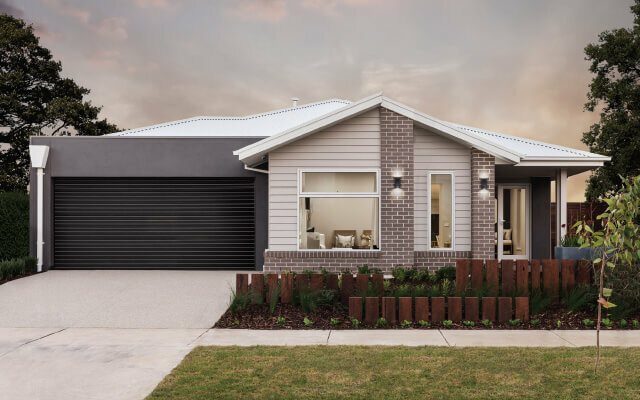 Most home designs offer a variety of façade options, with a range of designs including flat or sharply angled rooflines, a combination of brick, render and weatherboard finishes and a variety of colour schemes to choose from. During your personal colour consultation with a Dennis Family Homes consultant, you’ll be able to personalise each element of the façade of your home, selecting your preferred colours and finishes that will create a unique home that represents your individual personality and style. The perfect façade starts with ideal home design, and at Dennis Family Homes we offer a wide variety of home design options to suit every family, style and budget. Contact us or visit one of our display centres to find the one that best suits you.